BPI Building and Pest Inspections service all areas around East Brisbane. We examine the property carefully to identify potential issues and existing hazards. Our experts compare homes of similar construction and age to determine a fair value. With a building and pest inspection, it is possible to identify potential issues before they become complicated problems. An inspector can find any hazards that exist on the property. At BPI, we provide the most thorough inspection process. Our procedures include inspections of the home’s exterior, interior, subfloor, surrounding land, roof void and roof exterior if possible. 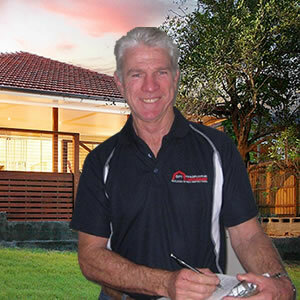 Pre-Purchase Building & Pest Inspections East Brisbane. Pre-Sale Building & Pest Inspections East Brisbane. Pre-Auction Building & Pest Inspections East Brisbane. Building & Pest Reports East Brisbane. BPI conducts a thermal imaging scan of the entire structure to identify possible termite infestations, areas of moisture and other issues. The moisture meter we use also confirms the presence of moisture, which can be a sign of a termite infestation. We test all door frames, window frames and timbers for damage. These problems are nearly impossible to detect early without the technology we use, and homeowners or buyers who discover them too late are often left facing thousands of dollars in damages. As soon as we complete the inspection, our experts start drafting a detailed report immediately. We email reports to clients within 24 hours and often on the same day. Contact BPI today to request a free building and pest inspection quote. 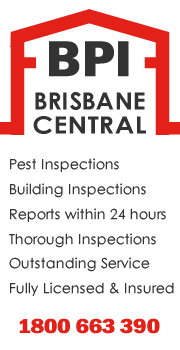 Call now 0409 960 095 or email noel@bpibrisbanecentral.com.au to book your building and pest inspection with BPI Brisbane Central.